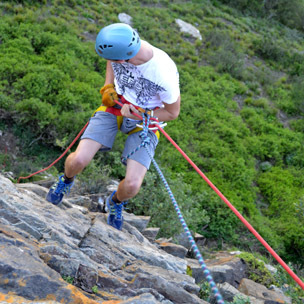 Beyond Adventure is situated in Alicedale, which is surrounded by areas perfect for adventure activities. 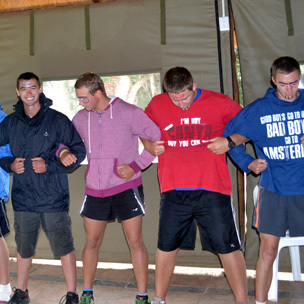 Some of our activities are presented on Mansfield Private Reserve and on the Kowie river. This allows the students to partake in extreme activities while in the presence of the local fauna and flora. 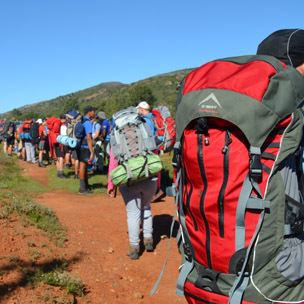 Students get an ARA Level 2 qualification for many of these activities, enabling them to assist in facilitating adventure groups. 8 Certified Business Modules which can be continued through the post to achieve a Diploma or Degree. 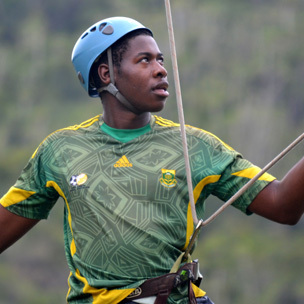 Abseiling is an adrenaline packed activity that really does make you feel a rush of excitement. Lowering yourself down a sheer rock face is something most people would naturally and instinctly turn away from but with our supportive and encouraging instructors, everybody goes away with a huge sense of achievement, buzzing and wanting to do it all over again! 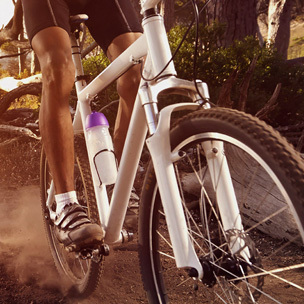 Off-road driving requires a different set of skills and more preparation than cruising down a busy highway. 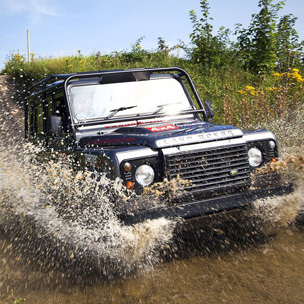 We will teach you the skills you need to handle yourself off-road. 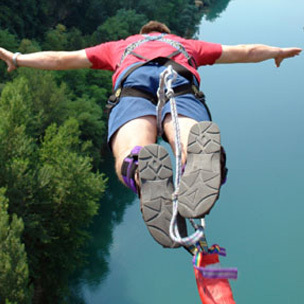 Bungee Jumping (optional extra) offers heart pounding thrills in the midst of breathtaking scenery. Let the experts guide you through a safe and unique bungee experience. 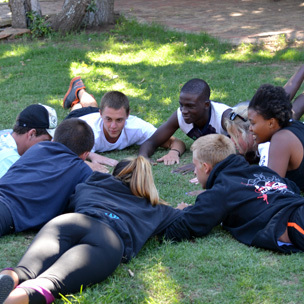 A good facilitator could mean the difference between a successful group session and a failed one. For this reason, it is vital for any person who holds the responsibility of facilitating a group of people to learn and acquire facilitator skills. 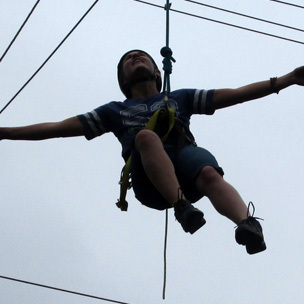 A ropes course is a challenging outdoor personal development and team building activity which usually consists of high and/or low elements. Experience all the trails in the area, when we take you hiking and teach you all the necessities of being on your own in the wilderness. 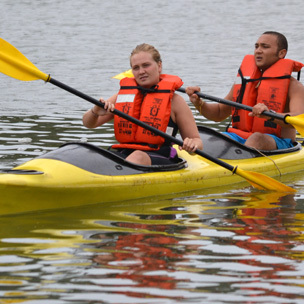 Kayaking is fun, safe and suitable for all ages and levels of fitness. Never be lost again. 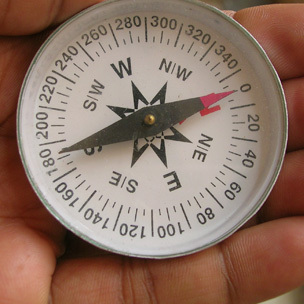 Spatial orientation is crucial for adapting to new environments and getting from one point to another. Without it, people will walk around in endless circles, never being able find which way they want to go. 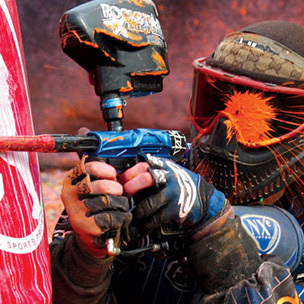 Paintball is the ideal team building adventure activity and teaches you how to work with your team. It is fun too. 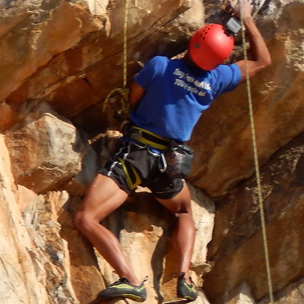 Rock climbing is an activity in which participants climb up, down or across natural rock formations or artificial rock walls. The goal is to reach the summit of a formation or the endpoint of a usually pre-defined route without falling. Explore a new world under the sea. 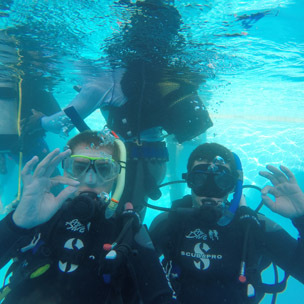 You will be taught exactly how to scuba dive safely. Enjoy the adventure! 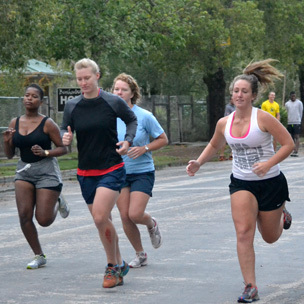 Many people think of self-defense as a karate kick to the groin or jab in the eyes of an attacker. But self-defense is actually about using your smarts and we will teach you that. Face your fears. 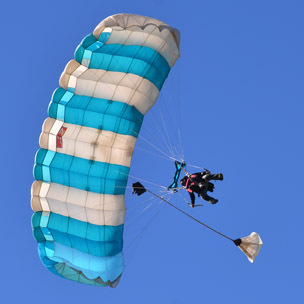 There is nothing more exhilarating than jumping out of an airplane. We will show you how! Slacklining is an adventure program growing in popularity and is a dynamic and fun activity. It's a great balance activity and as so improves strength, coordination, and concentration. 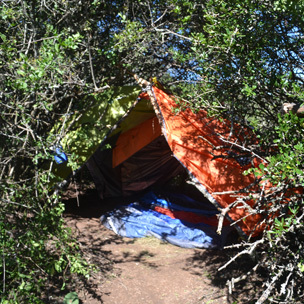 Outdoor activities such as hiking and backpacking require basic wilderness survival skills, especially in handling emergency situations. Team building is an intervention designed to work when the members of the team are actually involved in solving the problem, and when they are already intact as a team. Adventure Races is typically a multi-disciplinary team sport which may involve involve navigation over an unmarked wildnerness course. Beyond Adventure © . A division of River Group.